April 5, 2019 – Steps and pools are among the most stable and functionally important features in the mountain river landscape. Their stability is important for dissipating stream energy, withstanding ordinary floods and resisting erosion, and regulating the flow and sediment dynamics feeding into lowland areas. Clasts comprising steps also offer habitats for sensitive and specialized organisms. The integrity of step-pool systems is therefore important in maintaining healthy ecosystems, as well as in keeping water and sediment hazards in check for human communities downstream. The researchers found that the severity of burn, together with the intensity of rainfall, dictated the interacting geomorphic and ecological impacts after fire. Whereas step-pools remained stable in unburned and low-severity burned channels even through the largest storms—with recurrence intervals up to 1000 years—the smallest rainfall of the garden variety destabilized step-pool sequences in a severely burned channel. The stability and destruction of step-pool units, in turn, affected the habitats present and the types of benthic organisms able to colonize after fire. 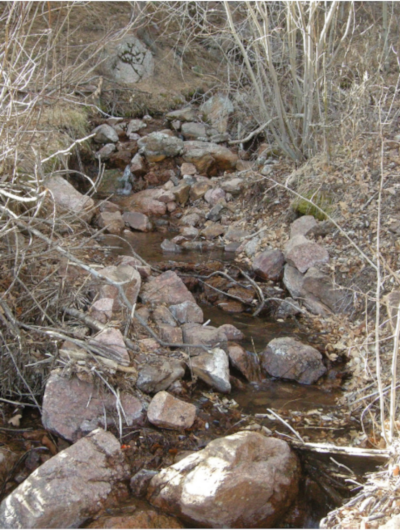 These findings suggest a multitude of possible responses for the post-fire management of step-pool mountain streams — from “leave alone” where burned with low severity to a possible focus on warning systems downstream of severely burned areas, to active channel management in moderately burned areas, where improvement in the integrity of step-pool systems could make a difference. Because wildfires are growing in frequency and magnitude under warming climates, these lessons and guidance for management become increasingly important. Anne Chin, Anna P. Solverson, Alison P. O’Dowd, Joan L. Florsheim, Alicia M. Kinoshita, Samira Nourbakhshbeidokhti, Samantha M. Sellers, Lauren Tyner, Rachel Gidley. 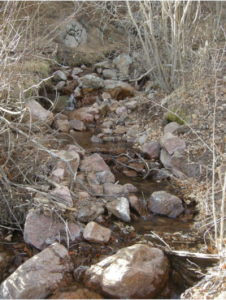 URL: https://pubs.geoscienceworld.org/gsa/gsabulletin/article/569804/interacting-geomorphic-and-ecological-response-of.